The images in the new Up in the Air Stamp Set are just what the card says, so sweet! 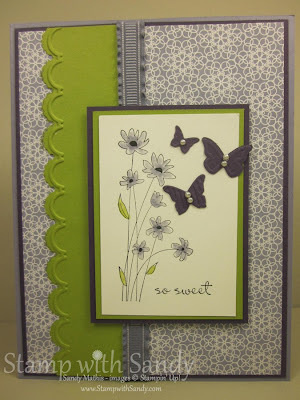 The layout for this card is this Week's Mojo Monday sketch, and the color scheme was taken right off the Stampin' Up! 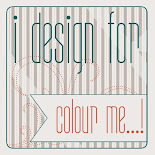 Color Coach. 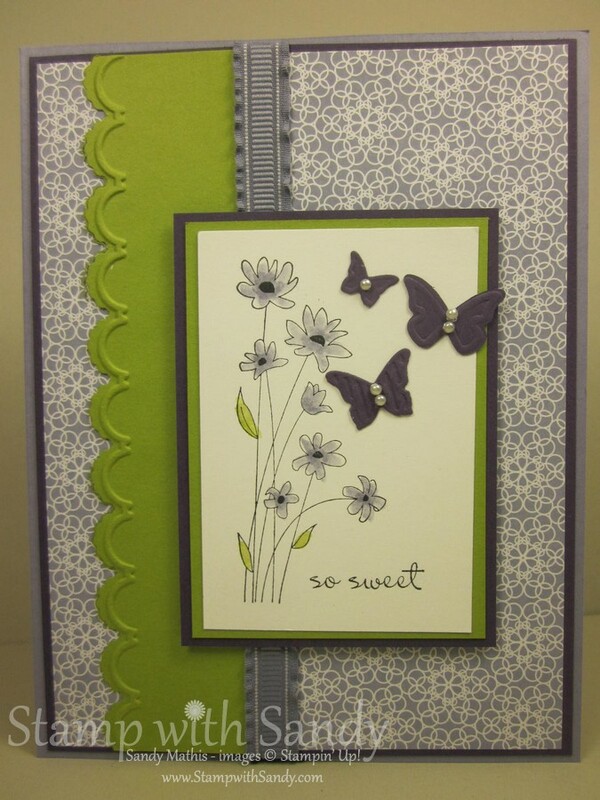 I love this color combination with the soft Wisteria Wonder DSP from the Flirtatious pack. I took some liberty with this Mojo Monday Sketch Challenge. 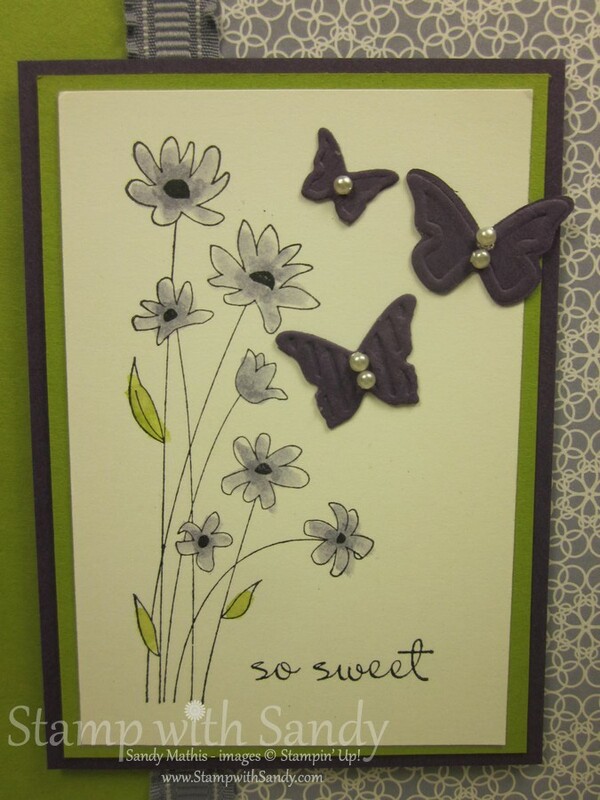 I chose the square layout, turned it clockwise, cropped it and added three butterflies instead of flowers. Worked perfectly! The focal image was stamped with Black Stazon Ink. I colored it in with ink pads and an Aqua Painter. 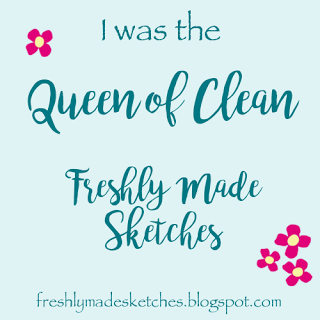 You can use an Aqua Painter on Whisper White Card Stock (as opposed to Watercolor Paper), just be sure that you use minimal water to prevent the card stock from curling. 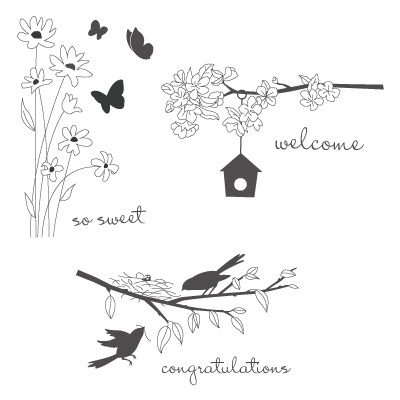 The Up in the Air Stamp Set is a hostess set offered in the new Stampin' Up! 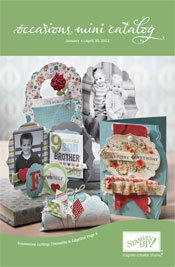 Occasions Mini Catalog. 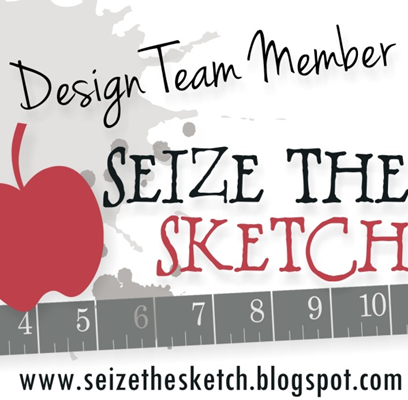 It can be purchased for only $8 if you host a workshop with sales of $150 or more or with an order of $150 or more. To view the catalog now, click here. Beautiful! One of my favorite sets from the Occasions Mini! 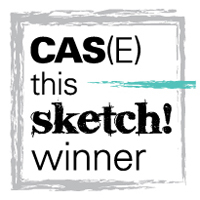 Great take on the sketch...please link up with me at 52 Card Pickup!